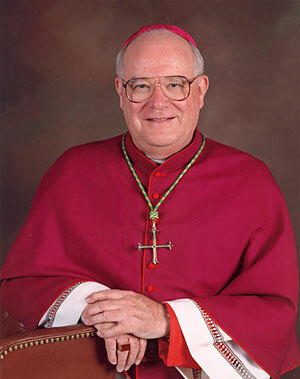 A few weeks ago I had posted my thoughts on Nancy Pelosi’s scadalous Newsweek interview, in which she chalked up her disagreements with the Bishops on Catholic moral teaching as a “difference of opinion.” At the time I had expressed my curiosity (and honest frustration) as to when her local bishop, George H. Niederauer, would be moved to respond. Read the rest of “Free Will, Conscience and Moral Choice: What Catholics believe”, by Archbishop George H. Niederauer. (Catholic San Francisco January 13, 2010). This entry was posted on Sunday, January 17th, 2010 at 2:17am and is filed under Uncategorized. You can follow any responses to this entry through the RSS 2.0 feed. Both comments and pings are currently closed. From the many times this professed Catholic has stated her views and had conversations with her Bishop as stated by her, when will she be asked to refrain and adhere to the tenets of the Church as she contiunes to embrassed the Church by her public statements and actions. She has been instructed enough. Is is time the Bishop ask her to refrain from the Eurchrist or leave the Church until she conforms to its teachings. I wish this response could be published in Newsweek, or some place people would get to read it. Enough! Without the use of Excommunication, the Bishops have become toothless watchdogs. The discussion devolves into opinion, with no authority to resolve or end it. Unfortunately, I rather doubt that excommunication would mean much to Pelosi et al… her protestations to the contrary, she seems to have little taste for authentic Catholicism. To be fair, this is the first I have heard of the Bp. making a clear public statement directed right at Pelosi. Perhaps this is the first step towards more concrete action should the public reprimand prove unfruitful. I heard Nancy Pelosi speaking last night about her favorite word. I suspect you’ve heard or possibly seen the video, but in case you haven’t, you can find it at youtube and you particularly want to hear the question from one of the reporters in the audience. Ms. Pelosi basically said that “The Word” is her favorite ‘word’ and then went on to say and The Word was made flesh and dwelt amongst us. The question was when did Jesus first come into the world made flesh; at the Annunciation, conception or at The Birth of Our Lord. Ms. Pelosi’s response was she would rather talk about that in church where we all bow our heads at these words, although she just talked about it from a podium in from of a roomful (at least with the exception of one) of secularists and had no problem with that. My point is that she’s making a mockery of the Catholic faith. If you haven’t seen the video, try to locate it. I believe the true Catholic Church is very strong and faithful. Its those that are pretending to be Catholic and using Her for political gain or otherwise that gives the Church the appearance of being split. We’re not. It’s as though we’ve been infiltrated by nonbelievers whose sole purpose is to create discension within the Catholic Church, to do nothing but harm the Church. History does have a tendency to repeat itself and I believe this has happened in the past. It will take great fortitude but I believe we can overcome this obstacle if we recognize it and act. Today is Nov 28, 2011 so I don’t know if these comments are still open…but Mrs. Pelosi has become more and more and more aggressive in pushing the anti-life agenda since this article was writting. She seems to have been emboldened by the fact that no Bishop will tell her to stop presenting herself to receive the Eucharist. This means, to her, that she is indeed a Catholic in good standing and that her aggessive battle to have abortion rights extended here and in other countries are in compliance with Church teachings on life…this despite the fact that both Pope John Paul and Pope Benedict have publicly stated that Catholic politicians who publicly promote abortion should not receive the Eucharist…it doesn’t get any clearer than that. But Pelosi continues to thumb her nose at the Church, continues to defy Church teachings…and, like a child who receives no consequences for his immoral or illegal or defiant actions believes he has control and need not obey, so too Pelosi…she almost dares the Bishop to tell her not to present herself for Communion…well, whatever the consequences, she and other ‘Catholic’ anti life, anti Church politicians like her, should be counseled by their Bishop and if they continue in their defiance, they should be refused Holy Communion. If they, who advocate publicly for the killing of preborn human babies, are permitted to receive the Eucharist, who would then be refused? What could be more horrible than the slaughter of millions of innocents? If Pelosi were to publicly promote the molestation of babies and small children, would she still be eligible to receive the Eucharist? would she still be considered a Catholic in good standing? Well, molestation is horrible, but killing is worse because there is no chance for to live and to heal and to have a full and meaningful life…please, this has gone on long enough. We have to stop giving a seal of approval for these ‘catholic’ politicians who publicly promote the killing of human babies and aggressively push agendas to keep this killing ongoing…enough. Stop the killing!! !